The Denon DN-470A is a handy amplifier for a small- to medium-sized commercial space. The Denon DN-470A is a handy amplifier for a small- to medium-sized commercial space. Connect audio sources to one or more of the four input channels, and speakers to the four pairs of outputs, and you're in business. 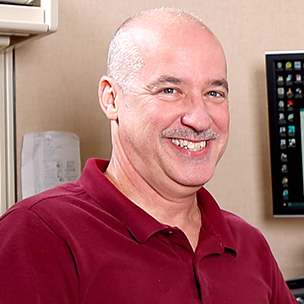 It's ideal for systems requiring multiple in-ceiling speakers, surface-mount speakers, and paging horns. 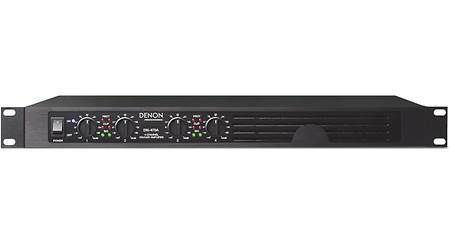 Overview: The Denon DN-470A is a 4-channel Class-D amplifier designed for 70 and 100 volt applications. 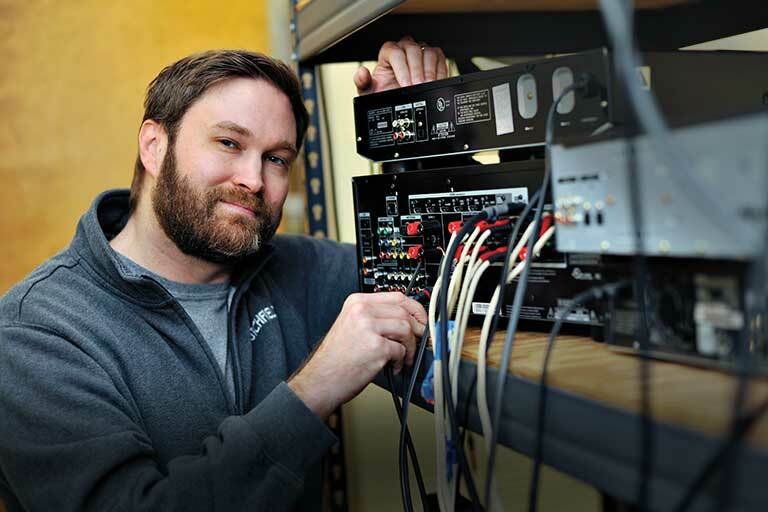 It's high-current switching power design offers 120 watts for each output channel, along with built-in short circuit protection and thermal interruption. 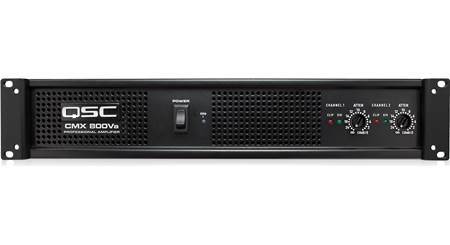 Engineered for distribution of multiple70V/100V speaker systems over long cable runs, the DN-470A is a versatile one rack-space amplifier, perfect for installed audio applications. Signal: This LED will light green when the amp is receiving a signal at an optimal level. Clip: This LED will light red when the signal reaches peak level and should be reduced to prevent clipping and distortion. Protection: The Protection LED will light red if the unit goes into heat protection mode. The temperature should be reduced by providing good ventilation and decreasing the signal level. Input Channels: Two 6-pin Euroblock connectors make up the 4 inputs with each having terminals for hot/positive (+), cold/negative (-), and ground (G). 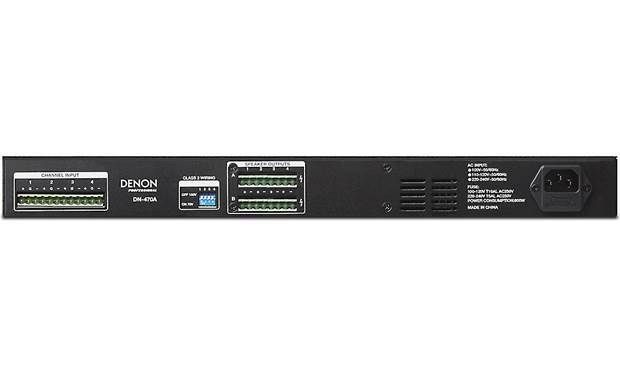 Speaker Outputs: The DN-470A includes 8 connections for the 4 output channels (2 per channel) using four 4-pin Euroblock connectors. This adds flexibility when wiring multiple speakers in different locations. Both the Input and Output connectors can accommodate wire up to 12 ga. in size. DIP Switch Matrix: The rear-panel also includes a 4-position DIP switch matrix that determines whether each of the 4 Output channels will be used for 70 volt or 100 volt operation. Cooling: The DN-470A includes a built-in cooling fan that draws air in through a front-panel intake and exits through a rear-panel vent. Dimensions: Width - 19.0", Height - 1.75", Depth - 14.0"
Does this amplifier have a fan? Whats the best way to connect an iPod or iPhone to a Euroblock input..? 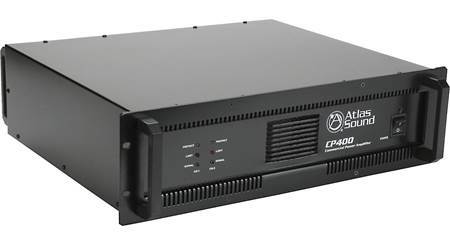 Searches related to the Denon DN-470A Power amplifier - 120W x 4 at 70V.